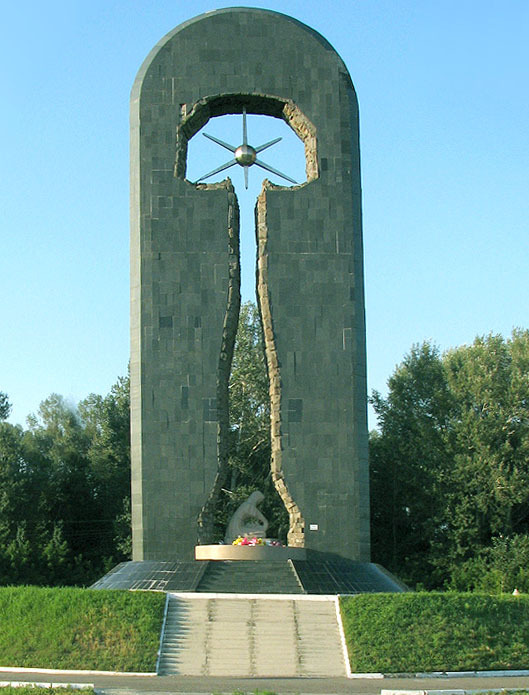 This year’s observance of the International Day Against Nuclear Tests marks the twentieth anniversary of the closure of the nuclear weapons test site at Semipalatinsk, Kazakhstan. Over the course of the Cold War, hundreds of nuclear weapon tests left behind a devastating legacy for local citizens and their natural environment. Having visited the scene of this dark chapter in human history, I wish to emphasize my support for the Government and people of Kazakhstan as they continue to cope with the aftermath. I commend efforts to ensure that something positive may result from highlighting the horrific effects of these tests. We urgently need new progress in achieving a world free of both nuclear tests and nuclear weapons. Current voluntary moratoriums on nuclear weapon tests are valuable, yet they are no substitute for a global ban. This is why it is urgent that the Comprehensive Nuclear-Test-Ban Treaty enters into force as early as possible. It is a major element of the international disarmament and non-proliferation regime, and it deserves the active support of all States. The vital importance of the Treaty’s entry into force was reaffirmed at the 2010 Review Conference of the Treaty on the Non-proliferation of Nuclear Weapons and included in the agreed action plan. The Treaty's verification regime has proven to be a valuable instrument for international cooperation. I am fully confident of its future ability to provide an independent, reliable and cost-effective means of verifying - and therefore deterring - any violation of the Treaty's provisions. For these reasons, I urge all States that have not yet signed or ratified the Treaty to do so as a matter of priority. Achieving that goal would further reinforce the growing movement for a nuclear-weapon free world. Every day, more and more people are viewing both nuclear tests and nuclear weapons as dangerous relics of the Cold War, long overdue for permanent retirement. On this International Day Against Nuclear Tests, I call on all States to take a bold step towards a safer and saner world for all.